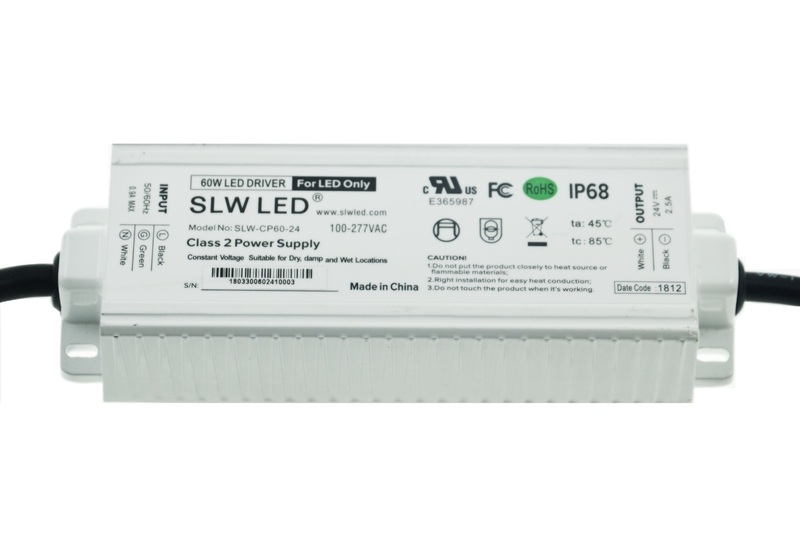 Click the button below to add the SLW-CP60-24: SLW LED® 60W/24VDC/100-277VAC CLASS 2 LED Power Driver to your wish list. In Stock - Orders received by 3:00PM MST ship same day! Dimensions: 7.25" x 2.5" x 1.625"